The fiance of accused drug mule Cassandra Sainsbury says he has no doubt the 22-year-old is innocent. Scott Broadbridge says he will support her no matter how long it takes. “I would just like to say, I have no doubt that Cass is innocent of the charges,” he told reporters in Adelaide today. “Cass is the delight of my life. I know that she is not involved in the drug trade. “I know that she was not deliberately taking drugs or carrying drugs. Broadbridge said he still intended to marry Sainsbury and hoped to travel to see her soon, and also vowed to concentrate on doing whatever he could to help her. A photo released by Colombia’s National Police shows Cassandra Sainsbury in handcuffs after she was arrested at the international airport in Bogota, Colombia. Sainsbury and Broadbridge have engaged Adelaide lawyer Stephen Kenny to help them and Kenny said he was confident the Australian woman would get a fair hearing in the Colombian courts. “We have great faith in the Colombian legal system and will be doing everything we can to provide her with the best possible defence,” he said. 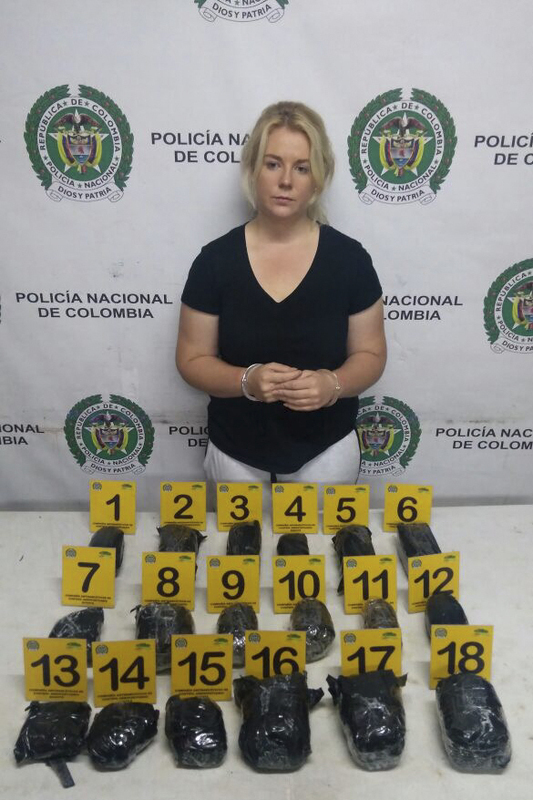 Sainsbury was arrested at El Dorado International Airport on April 12 after 5.8 kilograms of cocaine was allegedly found hidden inside 18 headphone boxes in her suitcase. She reportedly told a Colombian lawyer that she was tricked and given the headphones by a man she knew only by Angelo or Tom. The man offered to buy her the headphones for a cheap price and brought them to her at the airport.